PayPal casino UK sites online let you deposit money and withdraw your winnings using PayPal. Supporting one of the most popular money transfer methods online, PayPal casinos in the UK are an obvious choice for many players. 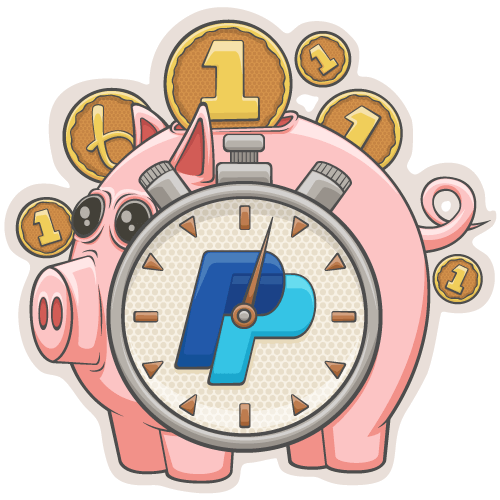 Enjoy robust security, instant deposits and fast withdrawals in a UK PayPal casino. Casino sites that use PayPal offer a reliable and fast way to make deposits and withdrawals. Here's a complete list of online casinos that accept PayPal deposits. 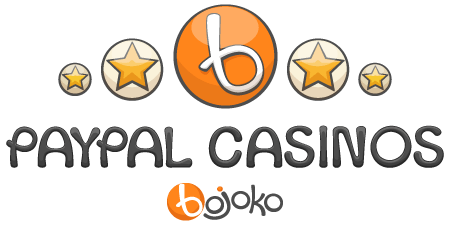 Discover the best PayPal casino sites on Bojoko. Not a member yet? Join Bojoko for free. Many new online casinos have added PayPal to their banking methods. We've gathered all new PayPal casinos launched in 2018. Check out the complete list of new UK casino sites accepting PayPal. Mobile casinos online are optimised for all smart devices and naturally support the desktop version as well. There are also plenty of mobile casinos that accept PayPal. PayPal is a handy payment method in mobile casinos. You can transfer money instantly into your player account in just one tap using PayPal One Touch. To activate the service, follow the link on the PayPal One Touch page. Your PayPal login details will be encrypted on whatever device you're using. You can checkout or deposit in the best PayPal casino sites with just a single touch. PayPal also has a downloadable mobile app. You can use it to manage your money and make a casino deposit by your phone in PayPal mobile UK casino sites. All PayPal casinos have a handsome selection of different types of games. Discover your favourite online casino games using PayPal. Practically all online casinos now offer live dealer casino games, and casinos with PayPal are no exception. Live casino PayPal sites offer all the same games as other live dealer casinos. Enjoy the thrill live casino games and withdraw your winnings with PayPal. Why use PayPal deposit with casinos? Why not use online casino PayPal deposit? If you want to deposit without registering for a banking method, PayPal is not the best way to go. Although the actual deposit appears on your casino account without delay, you'll first need have a PayPal account linked to your bank account or credit card. Unlike the deposit itself, this doesn't happen in seconds. The easiest payment methods for instant play casinos are Boku and Payforit. In Boku casinos and online casinos accepting Payforit, you only need a mobile phone number to deposit and play the games. The other thing to take into account are the withdrawal fees. Although sending money with PayPal is free, receiving some always isn't. Some casinos that use PayPal pay the withdrawal fees themselves. In others, the fees are the player's responsibility. The withdrawal fees in UK online casino PayPal sites shouldn't be exorbitant, but be sure to always check first.